A company’s website certainly needs to be functional, but to involve visitors, it also must be compelling and even dynamic. Considering new photography for website redesign is essential. 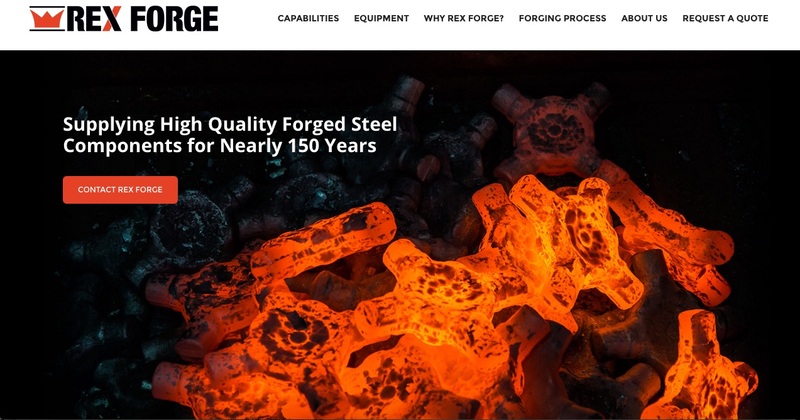 Beautiful and functional photography plays a vital role in bringing life to a corporate website, as you’ll see in these examples of a before and after website redesign for Rex Forge. Website BEFORE redesign with new photos. Website AFTER redesign with new photos. Forging is a hot industry. 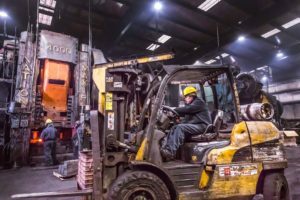 Super-heated metals are turned into functional products for nearly every industry. 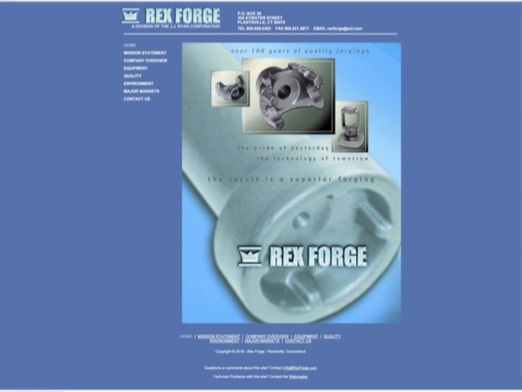 But previously, Rex Forge’s website presented a cool appearance with blue background colors and static photos of metal parts. The website lacked any drama of the interplay of the fire and iron that defines the industry. 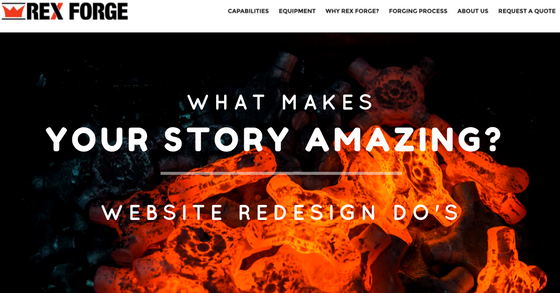 The impact of dramatic photography for website redesign becomes immediately evident on the new home page with the glowing hot steel creating the palette for a change from cool blue to hot orange on black, grabbing the viewer’s attention and drawing them into the drama of forging metal. 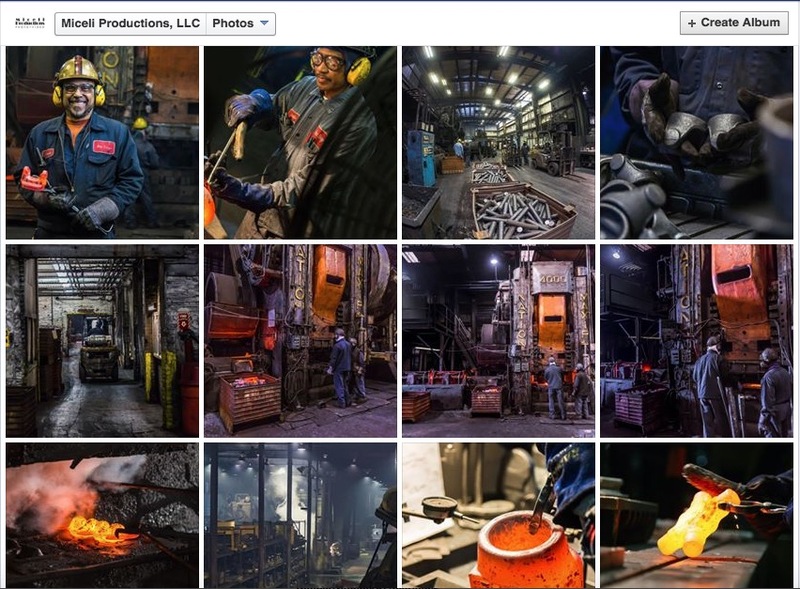 These hot and cold process photographs extend through the website, telling a visual story of metal production. Photos taken by Miceli Productions for Rex Forge image library. The shift to hot colors necessitated the redesign of the company’s logo. The previous logo of an embossed steel color matched the company’s final products and the cool blue website design, but the bold black and orange redesign provides a link to the process that is forging, not just the final product. Beyond just dramatic colors and glowing steel, the most important aspect of a company are the people who form its core. Photography for website redesign brings these workers and executives into sharp focus and gives viewers a human connection to the company. A mix of posed photographs of smiling workers and workers concentrating on their difficult tasks gives a true sense of what the company work environment is like. 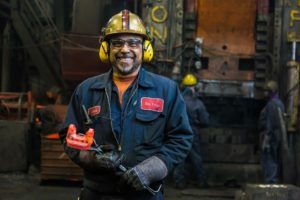 Even safety features such as hard hats, welders gloves and headphones are evident to point to the company’s concern for their workers’ safety. The use of a professional portrait of CEO Joe Futcher reflects the company’s nature with his sports coat and dress shirt, sans tie – a nice combination of corporate and industrial. Many detailed photographs located throughout the website also speak to the company’s dedication to quality workmanship. Corporate buyers can see up close the process and attention to detail the Rex Forge workers employ in crafting the final product. The previously static product shots come to life when the forged pieces of iron and steel are seen in the factory environment. Photographs also show the machinery that goes into creating these products, another important consideration for potential customers. The photography work that inspired the bold design of the website also inspired more compelling writing to tell the company’s story. 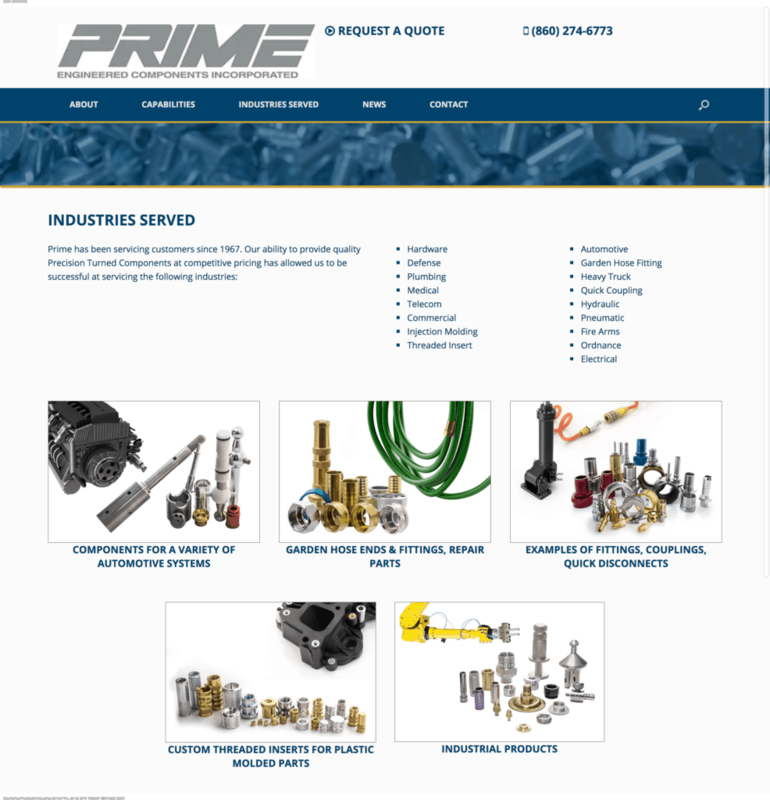 The previous website featured technical writing that only an industry insider would love. 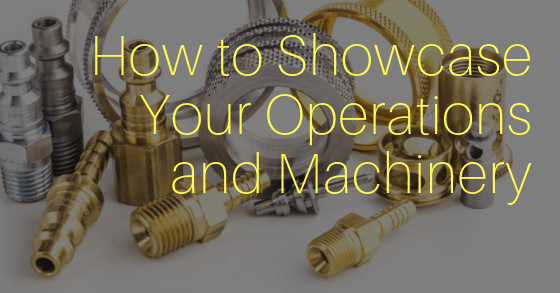 The new website tells the company’s story through words and photography, but still features the details that potential customers with insider knowledge find helpful and necessary. Are you suddenly seeing your company website in a new light? Do you feel like it needs new life, new drama, new dynamism? Bringing the eyes of a professional photographer and videographer into your work environment can open your eyes to processes and items you see every day. The professional image taker brings a new focus to your industry and can inspire your staff and your designers to think differently about how to tell your company’s story through your website. You will engage more readers and keep them clicking through the pages of your website when they are attracted by the strong visuals. Contact us to bring that new vision and new drama to your corporate website.